Quality starts with good ingredients. Large files can be sent using Dropbox.com or Wetransfer.com. Vector based files can simply be sent by email. Vector based files are always preferred ( Ai, EPS, PDF). These art files are always clean, can be sized/scaled infinitely, cut to shape with a router or laser without any loss of quality or fidelity. We do however recommend that all fonts be converted to outlines. If your files have any images embedded, then read below about appropriate resolution to ensure your images are suitable. You yourself may not have the ability to open these type of files. No problem! You can still forward us these files. Just be resourceful and get them from the correct source. Now this is where things get complicated and often fall apart. Raster based files, also referred to as Image files MUST BE of sufficient resolution. 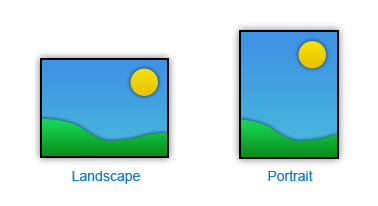 ( DPI/DPI ) Examples of these file types are TIF, PSD, JPG. Read below about appropriate resolution to ensure your images are suitable. In our experience we find that the use of .JPG files are most popular. They are terrific for the purpose of visually communicating, however they seldom meet our criteria for print quality. Files that are saved as a JPG, PNG or GIF cannot be reopened or altered. Pixelated images are the result of an inadequate file. Always begin with quality ingredients. DPI ( dots per inch ) refers to the input resolution of a photograph or image. In printing, DPI (dots per inch) refers to the output resolution of a printer. Dots Per Inch is the physical dot density of an image when it is reproduced. The larger an image is produced the fewer dots per inch or vice versa. For example, an image approx 4” wide at 300 DPI enlarged to 16” wide is now approx 75 DPI. It’s just basic math. When you are checking image resolution be reminded that it needs to be accessed by the actual size in which it will be printed. Let’s be clear in our communications. Just like when you take picture of a person. Just like when you take pictures of landscapes. Vector based files are scaleable and you do not need to prepare them using resolution. However, if you insert raster images in a vector-based file, please use the guideline to the left. JPG format could be used only for previews. However, we do accept JPG files from stock images. In most cases, they already have the proper resolution and are ready for production. All files must be saved in CMYK colour mode. If you are using stock images that are already set to RGB mode, please send them directly to us.